Happy Sabbath, *|FNAME|*! Attached is a special Oshkosh Camporee Report. A Lighthouse for Fort Morgan » Our newest school in the Rocky Mountain Conference is the Lighthouse SDA Christian School in Fort Morgan, Colo. It is already operating at capacity, with 18 students for the current school year and a waiting list for next year's attendance. Jodie Aakko, the head teacher and principal, sent an article that is posted here on the conference website. The school also received publicity in the local Fort Morgan Times. Satellite Ministry comes to Durango » Troy Osborn of the Durango SDA Church recently accepted the challenge and successfully installed a satellite dish for a woman who wanted to receive Adventist programming in her home. Next, he identified 11 families in his church who wanted a satellite dish. He contacted Keith Parris, leader of the Satellite Ministry of the Twin Peaks SDA Church. That ministry serves the entire Rocky Mountain Conference, providing information on the Twin Peaks website, as well as training and technical support. It has provided training and satellite systems for more than 30 churches in the conference so far. 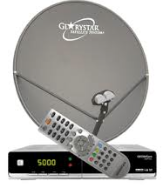 By purchasing satellite systems in bulk, a Glorystar system, which would normally cost $199 plus $40 shipping, can be obtained in the Rocky Mountain Conference for $150. Troy made a trip to Denver, and Keith met him there with a load of satellite systems. Troy will install them, providing a spiritual blessing for his church members. 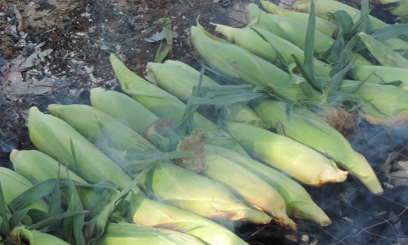 Corn roast brings church families together » The Delta, Cedaredge, and Paonia church families recently gathered at Bill and Donna Rees's home for a district corn roast. Corn was the main item on the menu, but there were plenty of salads and deserts as well. There was plenty of time to relax and visit with friends. Some played friendly competitive games, while others spent time reflecting in the quiet of the countryside. Click here to view a photo album of the day's happenings. Horses come to school in Farmington, NM » The students of Discover Christian School are horsing around. 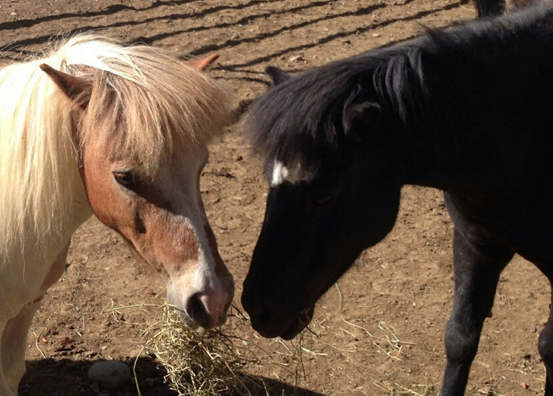 A pair of miniature horses have found a permanent home at the school that is a part of Piñon Hills Seventh-day Adventist Church. Read the story here. Brighton hosts revival series » The members of the Brighton Seventh-day Adventist Church are enjoying a spiritual renewal series presented by Pastor Charles Buursma. The series, entitled "The Way Home," focuses on the process of salvation. The meetings will resume this coming Wednesday evening at 7 p.m. and will continue on Wednesdays at 7 p.m. and Sabbath mornings at 11 a.m. through October 4th at 567 Bromley Lane, in Brighton, Colo. The Brighton Church is currently between pastors, and Charles Buursma, a retired pastor and evangelist who resides in Franktown, Colo., is serving Brighton in an interim capacity. 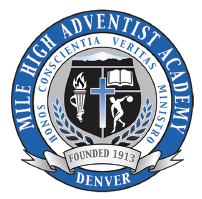 Mustang Mosey: 5K / 10K Fun Run to benefit Mile High Academy » On September 28, at 9 a.m., there will be a 5K Family Walk/Run and 10K race to benefit Christian Education and the Annual Fund at Mile High Academy. 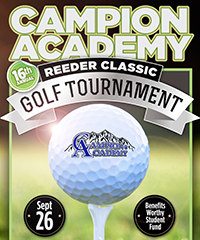 For details on registration and location, click here.